Yesterday I linked to this story from the Dallas Morning News about Irving Bible Church's decision to have a woman preach at their Sunday morning service. Today I welcome the contribution from guest blogger, Justin Hentschel. Justin is a close friend of mine who recently graduated with honors from Dallas Theological Seminary. He has served as the interim youth pastor and later the jr. high youth pastor for Waxahachie Bible Church in Waxahachie, Texas. I learned about Irving Bible Church’s decision on women in ministry a couple of months ago, a few days after they announced their conclusions to the congregation. After reading their 24 page summary on Women and Minstry and looking at their webpage, one thing became clear to me. Whatever your stance is on women in ministry, you could see that IBC believe that they were seeking to follow the Bible. Perhaps they are wrong, perhaps not, but their intention was to remain faithful to Scripture and to God. That seemed abundantly clear. Or so I thought. In the Dallas Morning News article that followed Jackie Roese’s message, a prominent Dallas pastor, Tommy Nelson, compared their decision to a virus for liberalism. He understands IBC’s stand as not merely a wrong interpretation of the Bible, but a dismissal of the Bible as a true and authoritative. ...I remember how often I do the same thing. My interpretation of the Bible always seems biblical and those who disagree me are setting aside clear Scriptural teaching. My views on controversial topics are pure and unbiased, while others are skewed by their own prejudices. How easy it is for us to see the interpretative plank in others’ eyes, but not our own? This is why I respect Irving Bible so much. I've seen both sides of this issue demean, strawman, and demagogue the other, while IBC presents their position with grace and humility. May we all show Christ's character as they have. 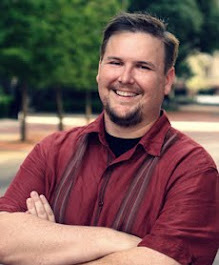 Discaimer: The preceding article is the work of Justin Hentschel, and does not necessarily reflect the position of Waxahachie Bible Church or DigitalWorship. Great perspective. I'm an IBC member, and I don't know if I completely agree with their findings, but I love how they've sought it out and presented it. And, yes, it always feel like everyone else is the idiot and my way of looking at things is dead on. You have to at least challenge your own biases, cuz we all got 'em.